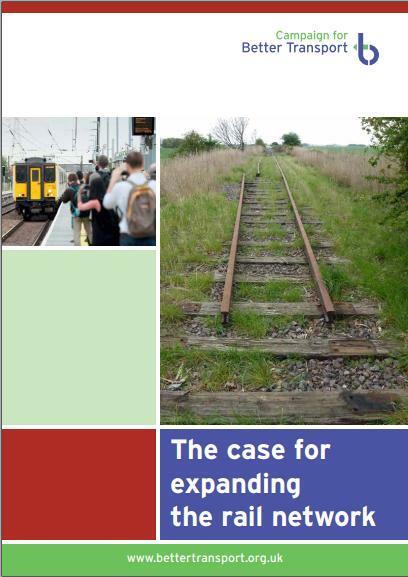 HOW HAS RAIL REGENERATION HAPPENED ELSEWHERE? Fed up with the A149? Disappointed that your children have moved away for work? Concerned that new development in West Norfolk will make road congestion even worse and driving intolerable? Think how good it would be if you could live on the North Norfolk coast and commute to Cambridge in a comfortable train. 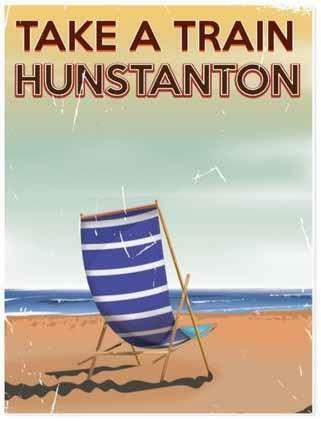 Or get from Hunstanton to Lynn in 20 minutes. Know that your children could safely go to school or go to see friends in a neighbouring village on a quick reliable public transport service! 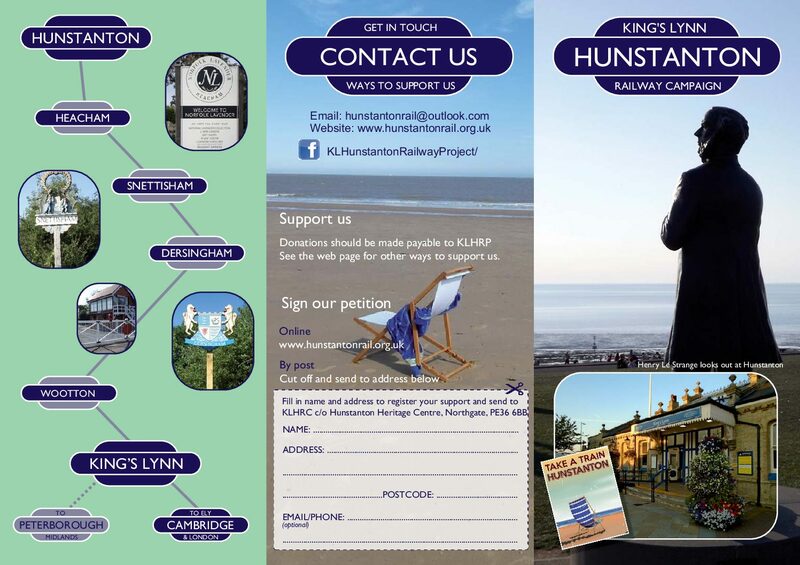 The King’s Lynn — Hunstanton Railway Campaign is seeking to bring back the railway that for more than a century did provide that public service. Much of the track bed still exists from King’s Lynn to Hunstanton. The seaside town is increasingly popular throughout the year but the road traffic is becoming worse and worse. Long tailbacks blight the journey for all, making what is a relatively short journey long, slow and tedious. The economic, environmental and social benefits of bringing back rail are compelling. Other examples of successful rail regeneration projects around the UK show that they provide equitable, safe, reliable services for passengers and freight, removing cars and goods vehicles from roads and offering a range of other regeneration and investment opportunities. Read more about other projects here. 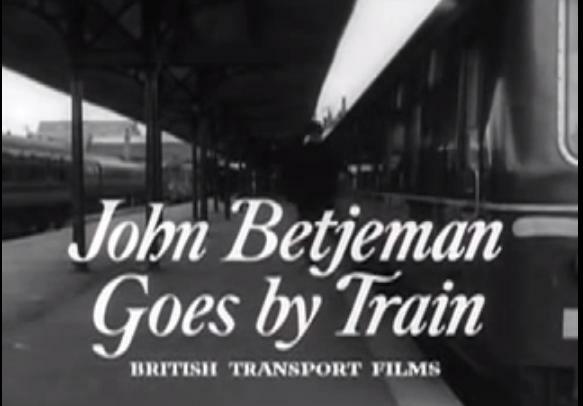 Since the railway closed in 1969 many people have concluded it was a bad idea. In recent decades a number of people have tried to gain support for the reopening. But now we feel real momentum is building to bring back the trains. The project has support from our MP, local councillors, rail industry experts and more than 3800 people have signed our on-line petition. Sign our petition here. The MP for North West Norfolk, Sir Henry Bellingham, has previously said ‘I have always regarded the closure of the King’s Lynn Hunstanton railway line as being a foolish error. Imagine the benefits such a line would currently be delivering, both for tourism and commuters’. The project group is presently made up of volunteers with varied backgrounds including rail experts, and we all share the goal of reopening the line as a principal public transport amenity for the area. We are presently exploring the most suitable formal organisational model. For further information see About KLHRC. This website aims to provide more information about the opportunities and potential benefits of reopening the railway. But there are constraints. Some of the original route has now been built upon and new sections will be required. Read more at our Frequently asked Questions page. Would you like to support this campaign? We have already undertaken preliminary appraisals of the route but would like to employ a consultant to prepare a professional feasibility study. Would you be willing to contribute to the £20,000 we are currently raising to commence this study? Please make a donation here. The KLHRC group support the reopening of other railways – and we are not the only ones. James Palmer, Mayor for Cambridgeshire and Peterborough, is not only supporting the reopening of the March to Wisbech railway, but is also promoting extending the line to King’s Lynn. This could provide a viable service to Peterborough. 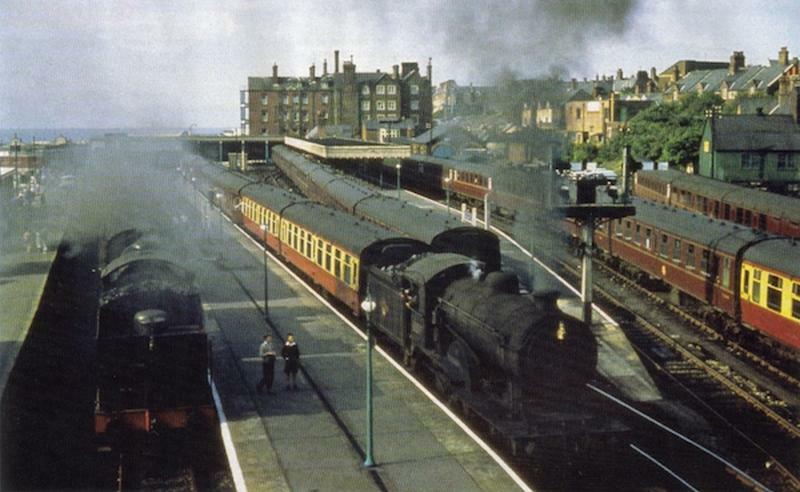 Meanwhile an online petition has started to reinstate a railway between King’s Lynn and Norwich. If you support the idea of a future with fast reliable public transport between our towns and centres – please support these other campaigns. 96% of us rely on the other 4% to give blood. Please don't leave it to someone else.